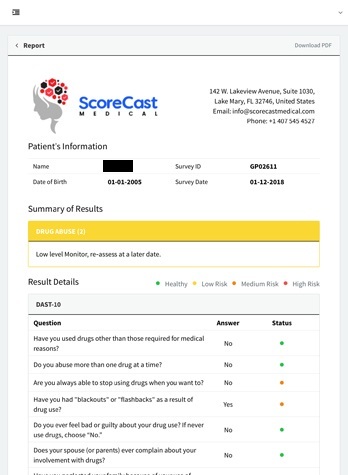 ScoreCast is a platform that allows clinics and medical record keeping companies to manage patient information regarding their overall mental health. 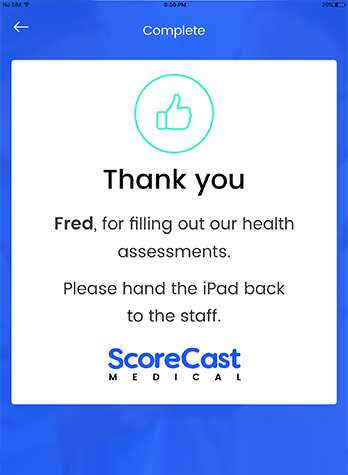 ScoreCast is a step up from regular pen & paper questionnaire methods and allows patients to input their information digitally. The patient information is then generated into a report which is evaluated by medical professionals. 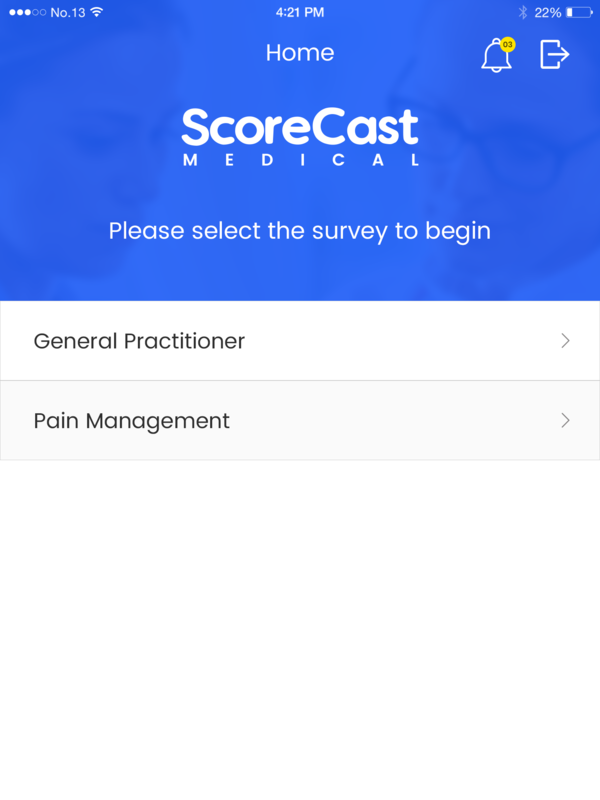 Digitized versions of surveys such as Pain Management make the process that much easier. ScoreCast ensures complete HIPAA compliance so that patient information cannot be misused. An exclusive web portal for the medical staff allows them to view patient results and take meaningful actions. 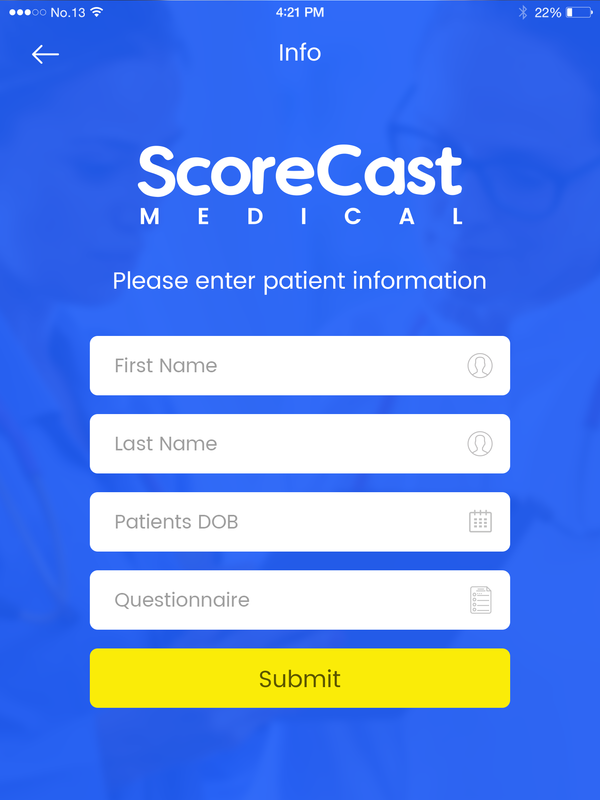 ScoreCast can identify at-risk patients and provide them timely medical help.